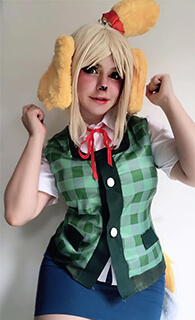 Features: The Wig `s style is very charming and noble to fit for all Occasion, and what is best is the wig without the bangs and you don`t need to style it often . The wavy is natural and fitable . Also The front lace hair can make the style more natural and vivid. the fiber is imported from Korea, the it's canbe apply heat to the fibre. the fiber are designed to give you the power to reinvent your look day after day as you can blow dry, flat iron, crimp and curl , just like natural human hair. The fibres can be styled with heat up to 350o F/176oC (make sure you know how hot your heating implement goes. If it higher , will damage your wig. 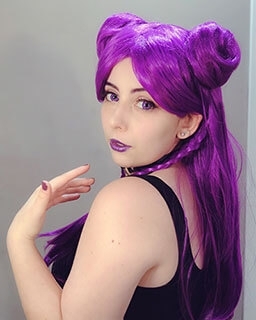 Rolecosplay sent me this beautiful wig! It arrived really fast with a tracking number and was packed well. The colour was accurate to the pictures on the website and it looked natural and not shiny like other wigs. 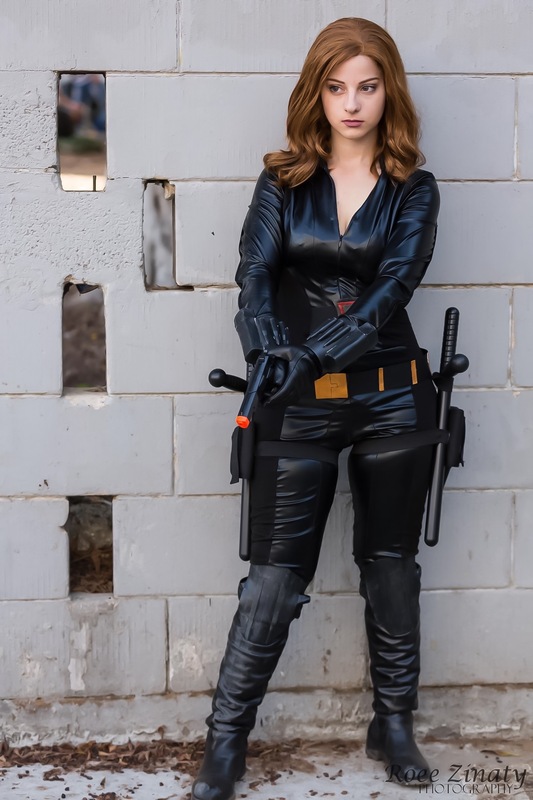 I wanted it for my Black Widow cosplay so I had to cut and style it. It was really easy to style it, it's heat resistance so you can curl it with no problem! The hair is really soft and the I didn't even had to put spirit gum on my whole hairline because it fitted really good on my head.